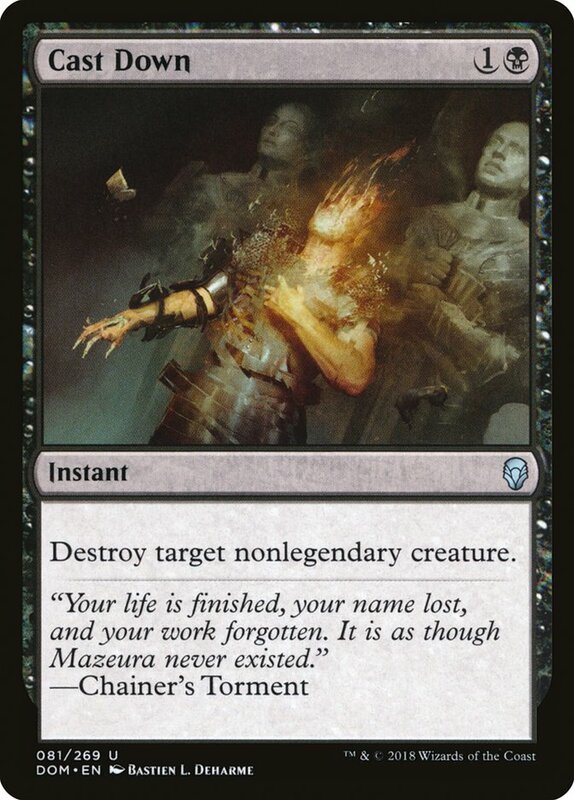 Are you kidding me, Guilds of Ravnica? I mean seriously, Kaladesh Block and Amonkhet Block are rotating out! 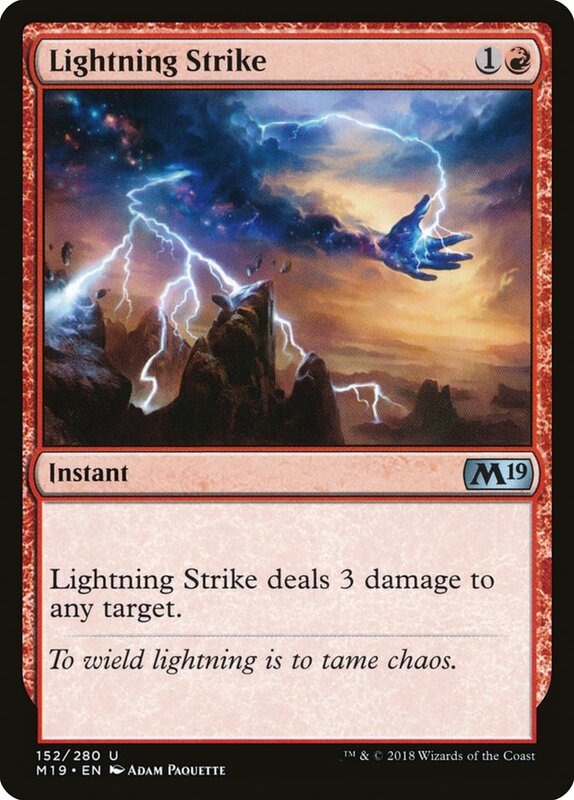 All you had to do is not give "Mono-Red" more toys, and you'd be in the clear. All mistakes would be suddenly rectified as the attention span of a Magic player is practically non-existent! That shouldn't be too difficult of a task given your multi-color theme, should it? It's not like the best cards in your set will be mono-colored, right? We should be safe now! You were the chosen one, but botched it you did! Now there's nothing that can stop the flail-wielding Goblin! Wait, there's no Blood Crypt? Well that's good to know. I think I can calm down a little then. 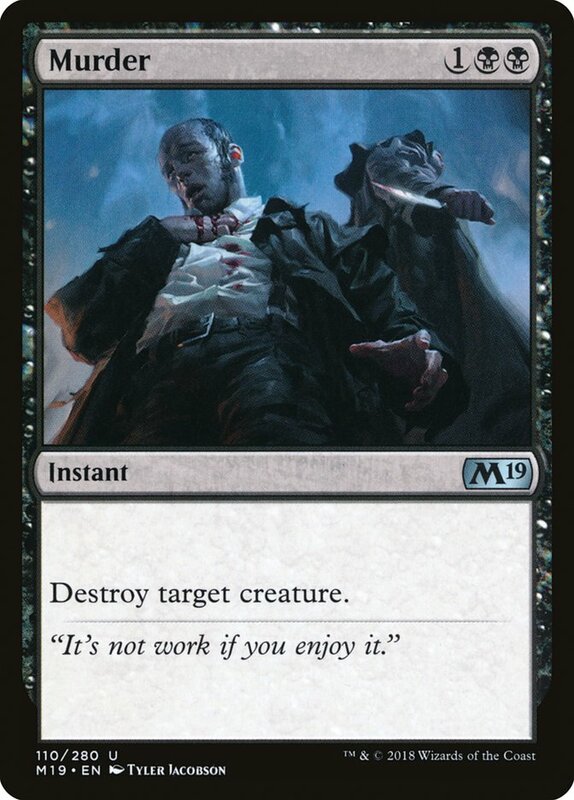 As someone who top 8'd a Grand Prix with the Izzet Staticaster/Nightshade Peddler combo, I know combos like this have the possibility to be great, but at least without Blood Crypt the juice might not be worth the squeeze. It's always nice to look at the new cards trying to figure out just how potent they can be. There's a hitch though: Standard doesn't really work like that. The format's always conditional to what mana, creatures, and removal are existent. 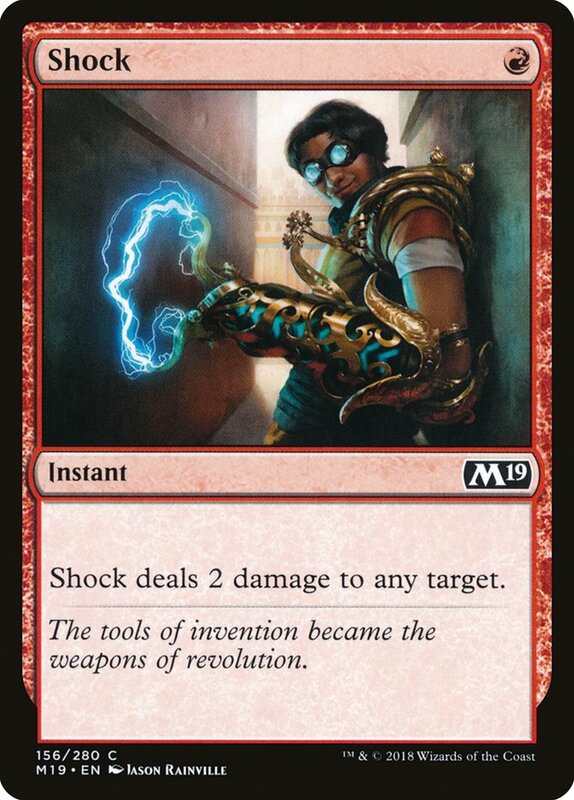 Today we're going to take a look at all of these things as we sift through the available card pool trying to get a feel for what's actually possible, and thus, what cards we really should be stocking up on before Guilds of Ravnica shows up in Standard tournaments. The process begins like it always does when Ravnica shows up. 4-5 shocklands roll up ready to wreak havoc on Standard while the corresponding ones patiently wait for their turn. 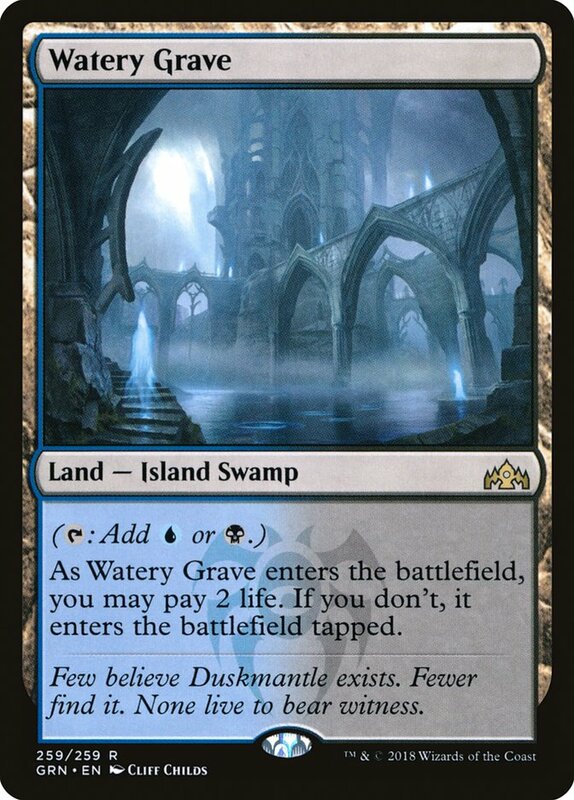 This often dictates what's playable right out of the gates as some color combinations straight up have better mana than other ones. 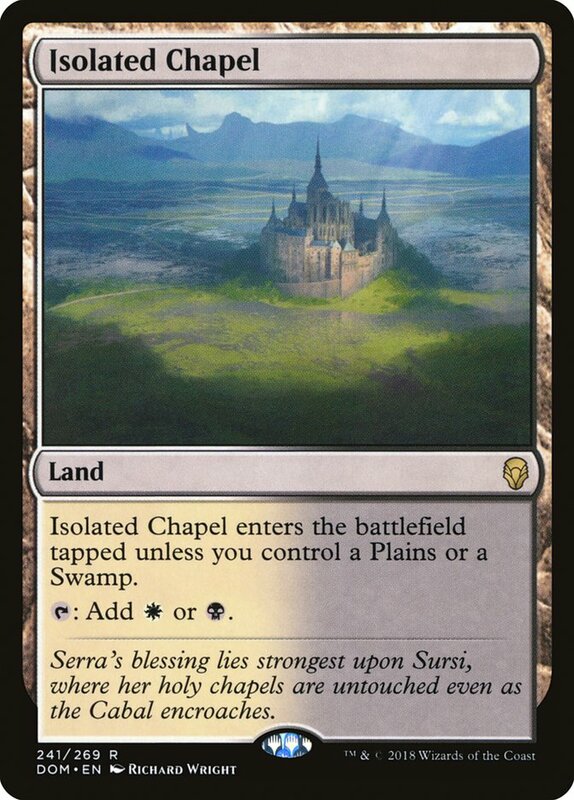 Guilds of Ravnica Standard will be no different as the only other premium dual lands in Standard are the ten check lands. 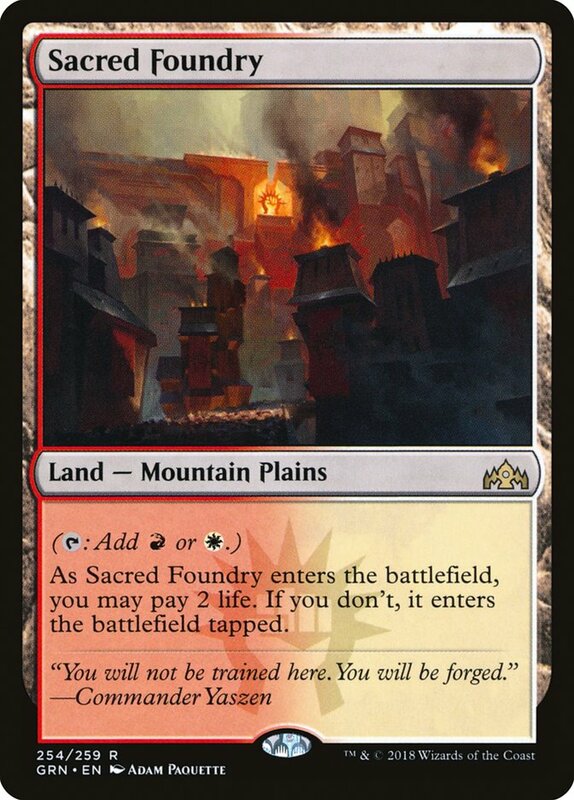 For now, these are the only fifteen dual lands in Standard which pretty much forces out any two-color combination that doesn't involve a shockland. 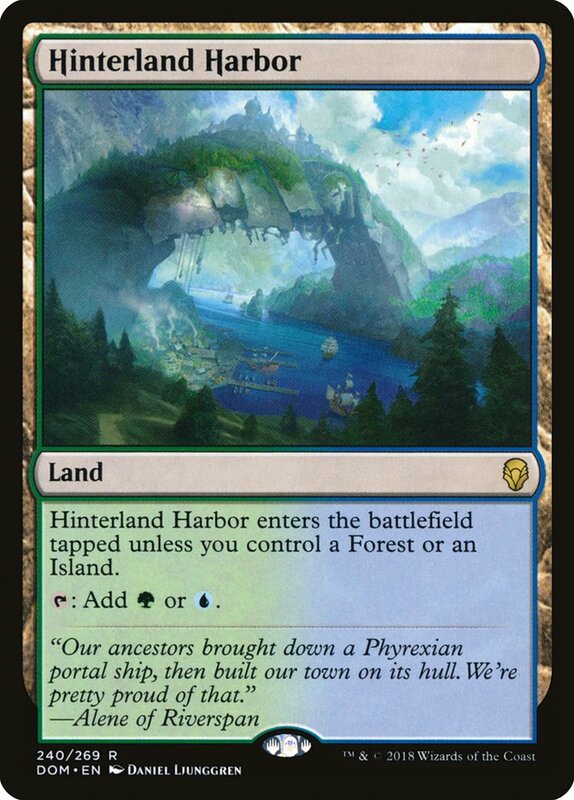 Of course, there are enter the battlefield tapped dual lands like Forsaken Sanctuary or Golgari Guildgate, but we don't really talk about those lands. It will be a cold day in hell before I kick off preview season talking about decks with those lands! The cards in Guilds of Ravnica also revolve around certain guilds which means Selesnya, Boros, Dimir, Golgari, and Izzet will get the bulk of the Standard-playable cards, forcing Azorius, Gruul, Orzhov, Simic, and Rakdos to wait their turn. 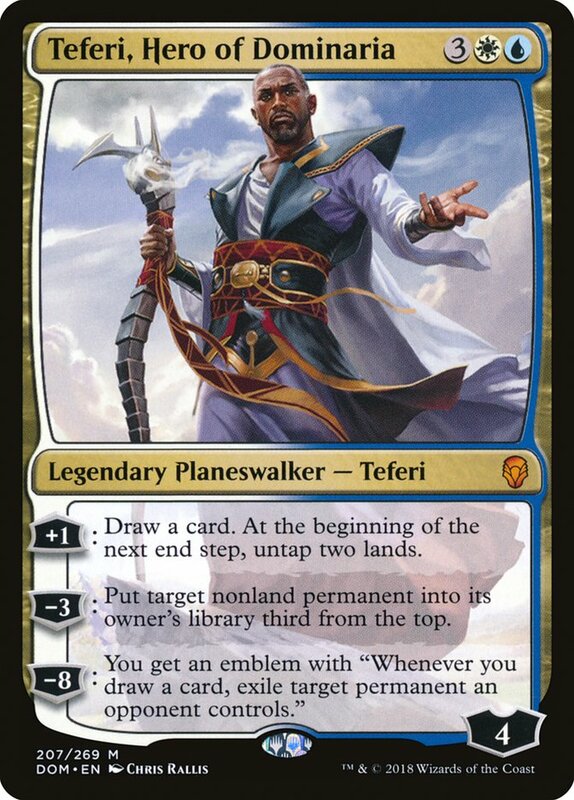 This is great news for everyone sick of losing to Teferi, Hero of Dominaria, though I'm not saying it can't still dominate the format, but the chances are slimmer without the help of Azorius and Orzhov. The next step to discovering what will be playable in Standard is to look at the available removal spells. After all, Standard is a format that revolves around what creatures are best positioned against the removal spells played and vice-versa. 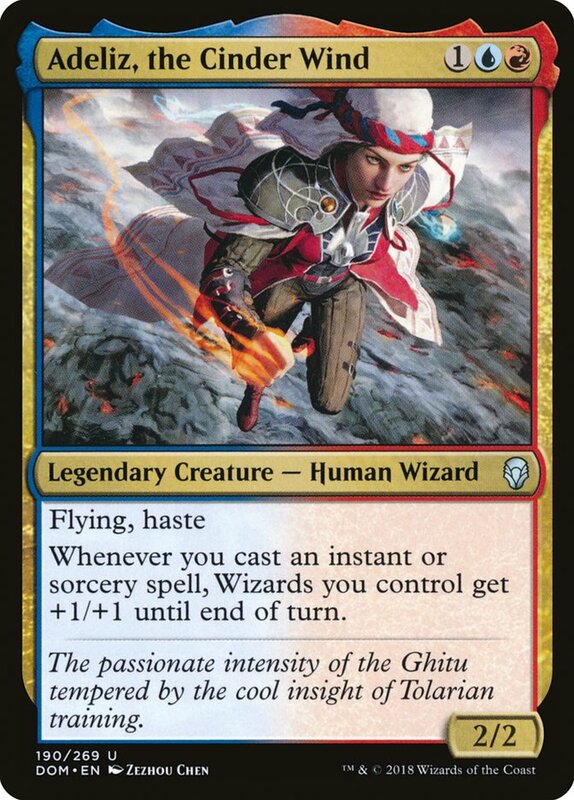 Initial thoughts about the available removal would make me lean towards believing red will need a significant boost from the yet-to-be previewed cards from Guilds of Ravnica to be a basecolor. There might be some sort of Path of Mettle deck out there, as the Goblin created from Legion Warboss does help transform it, but as of now there just isn't a density of good cards needed for a strategy like that. 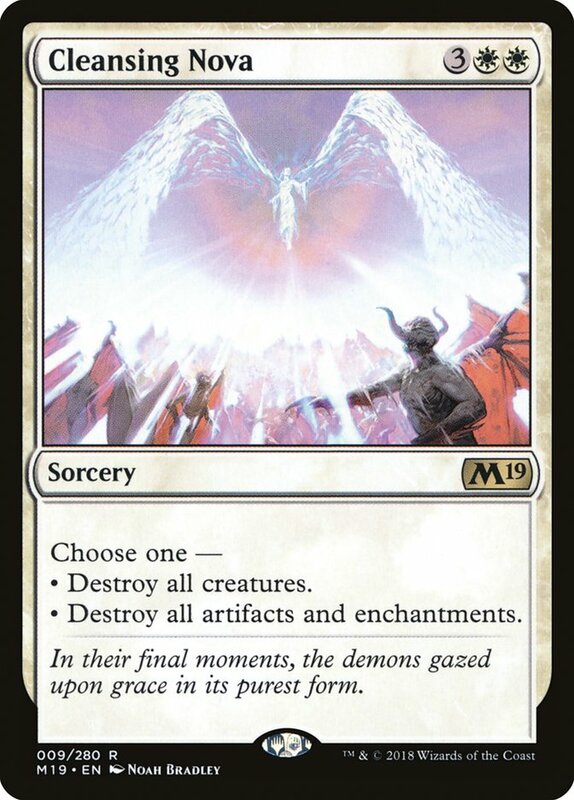 Don't sleep on Path of Mettle though as it's not bad but simply just wasn't good enough thanks to the high power level of previous Standard formats. I predict killing Llanowar Elves will be very important, and Path of Mettle does it quickly! 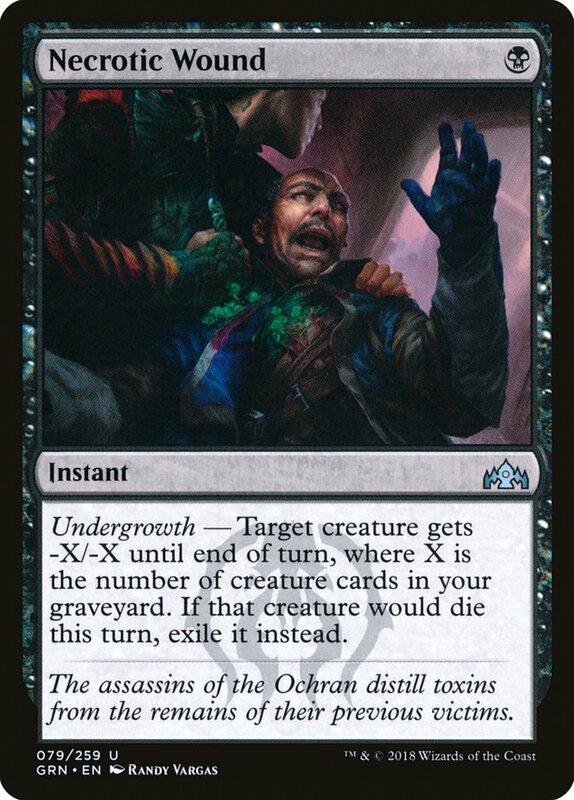 From looking at this initial list of removal, it would seem that some sort of Dimir control deck should be playable. The color combination just has so many options! 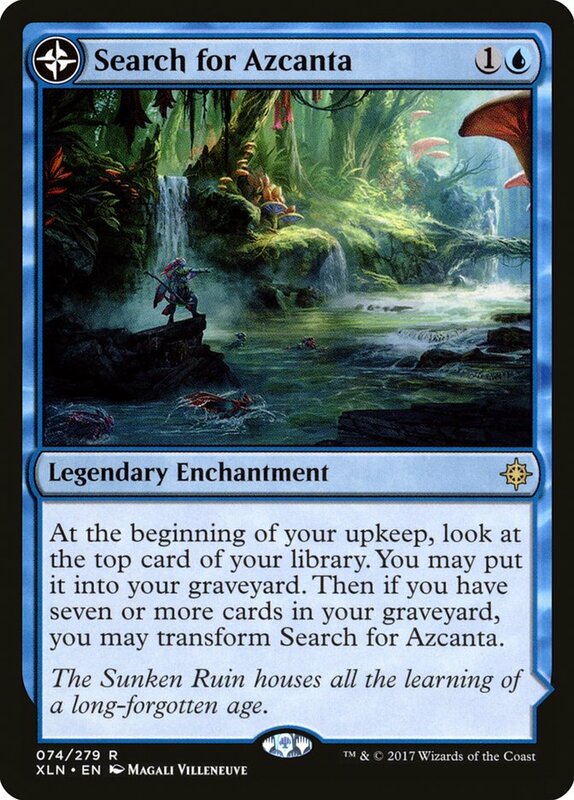 The win condition is still up in the air, but the deck doesn't seem to need much more removal or card advantage given that Search for Azcanta is still around. 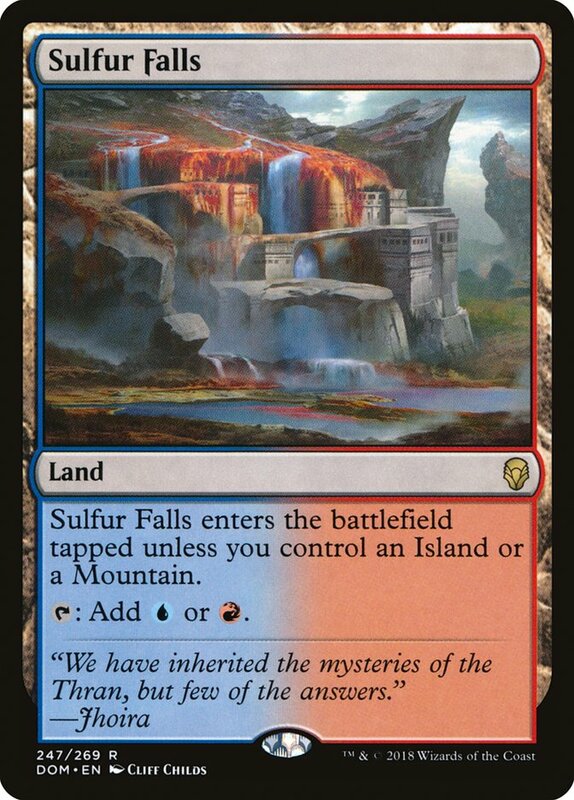 There's even a chance to splash Teferi, Hero of Dominaria using Field of Ruin, Isolated Chapel, and Glacial Fortress as fixing. 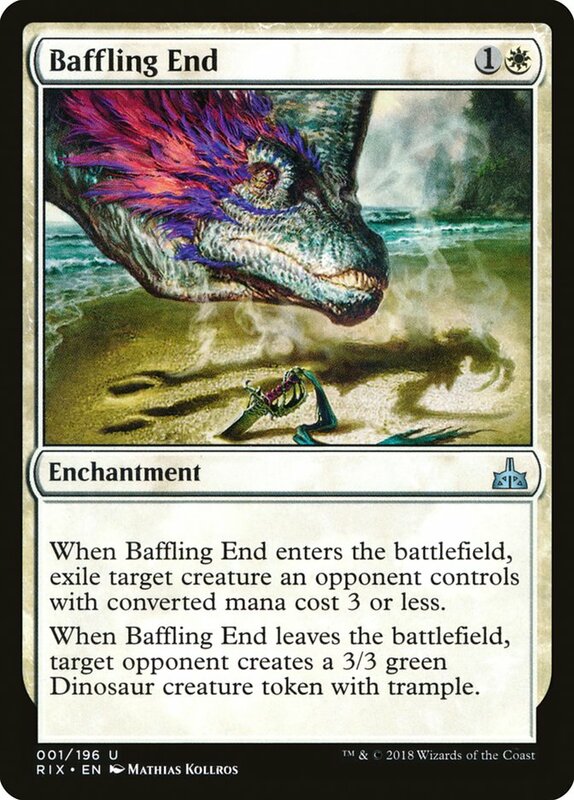 That would help the deck generate card advantage plus give it a backdoor win condition if Chromium, the Mutable isn't good enough in the maindeck. 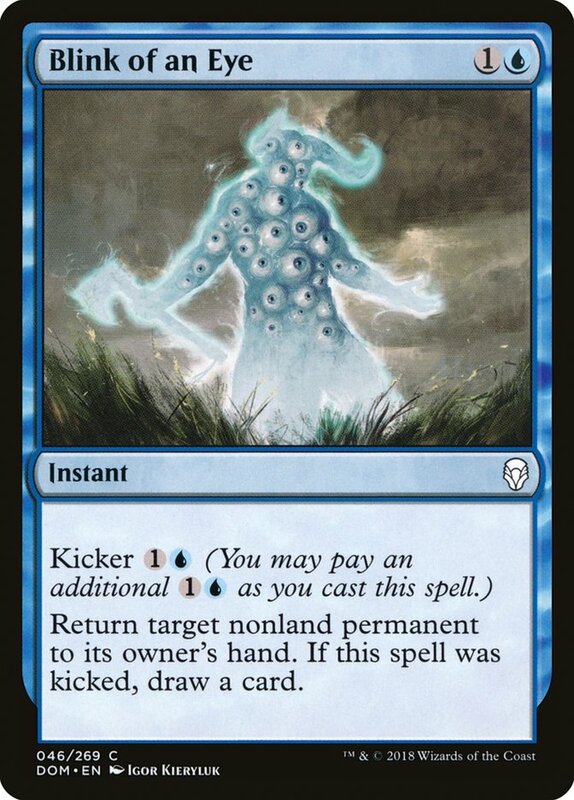 The biggest issue with U/B or Esper Control is that it would most likely have to lean on blue and black, given the fixing making it very difficult to have access to sweepers like Settle the Wreckage or Cleansing Nova for the format's most annoying threats. 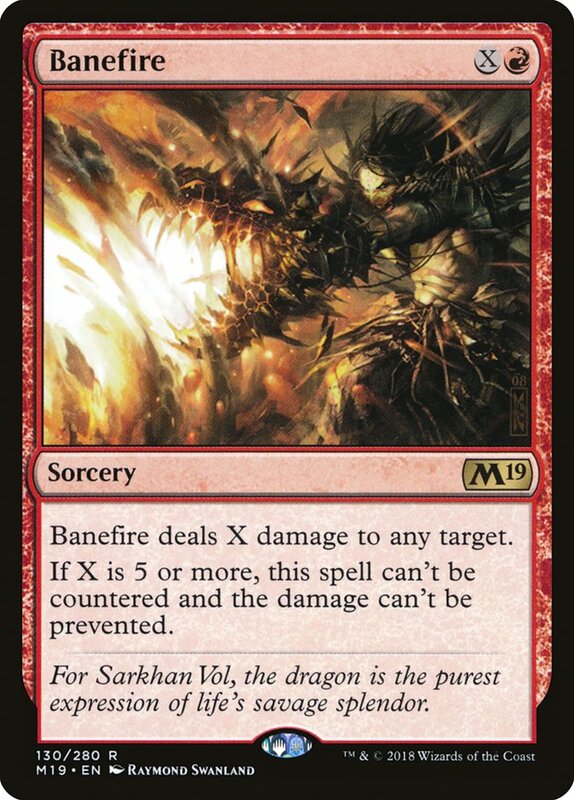 Carnage Tyrant and Vine Mare seem like a perfect counter to decks like this as Vizier of Many Faces is longer around to help stem the bleeding once these hexproof threats hit the battlefield. Jeskai Control does have good mana, card advantage, and removal for creatures. 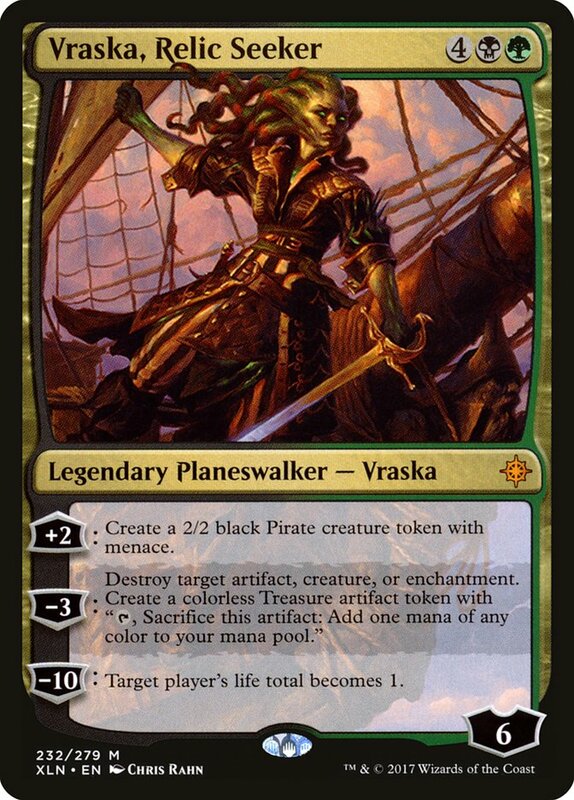 The only real downside to this color combination is it doesn't have Vraska's Contempt. Teferi and Ixalan's Binding could be enough for the color combination to deal with opposing Planeswalkers though. The biggest hurdle for this color combination will be finding good ways to close the game. Torrential Gearhulk is gone, Bant Nexus strategies lost a fog effect, and Lyra Dawnbringer isn't the most reliable threat. The win condition is that big of an issue for Jeskai if the format is creature-based though. Jeskai Control will struggle against Nexus of Fate and Chromium, the Mutable strategies if they can find footing in the format. 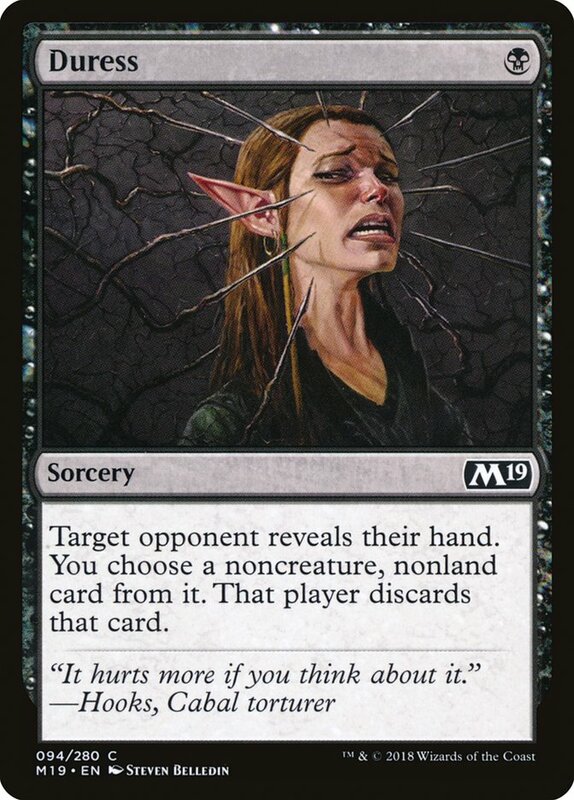 Green may not have great removal, but when does it really? 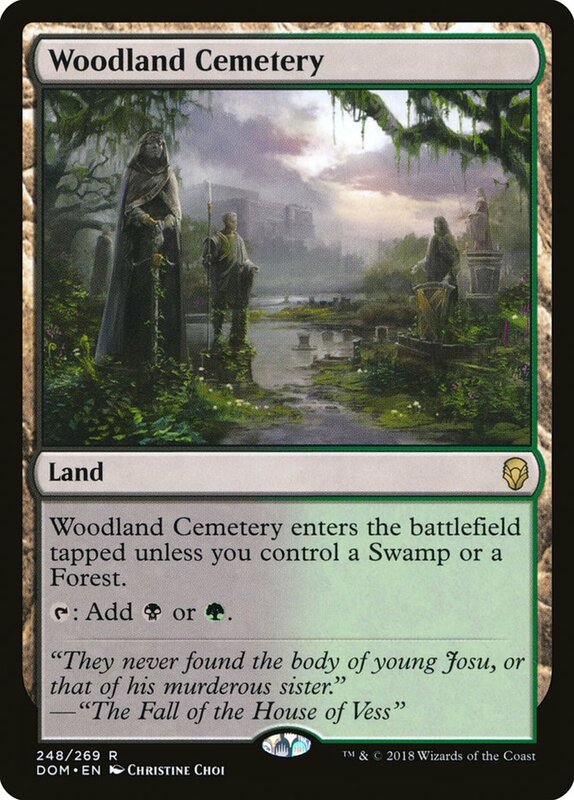 It usually needs to branch out to other colors to help with creature removal, and green currently has access to great Golgari and Selesnya mana that can do the heaving lifting in that department. 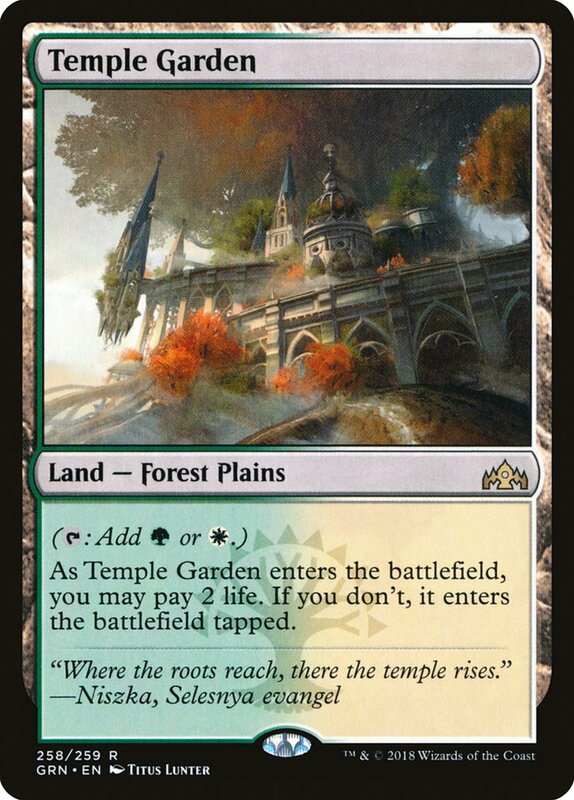 Good color fixing for base green decks can be extremely scary when it comes to Standard, especially when the color has access to card advantage, but that's not really the case right now. The color is currently geared towards efficient threats which means the power of them is contextual to the format's removal. 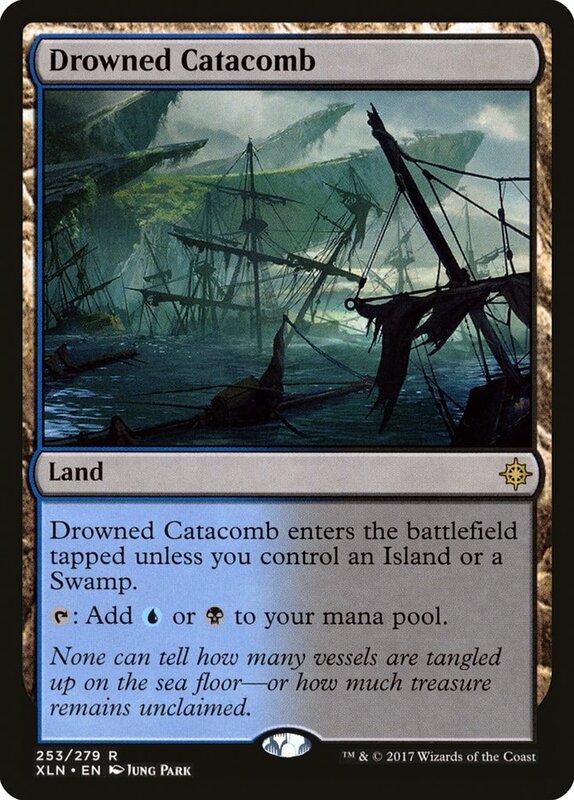 As of right now, it seems like green is in a great place, as Guilds of Ravnica only has access to white's most aggressive colors, making it difficult to properly play Settle the Wreckage and Cleansing Nova. 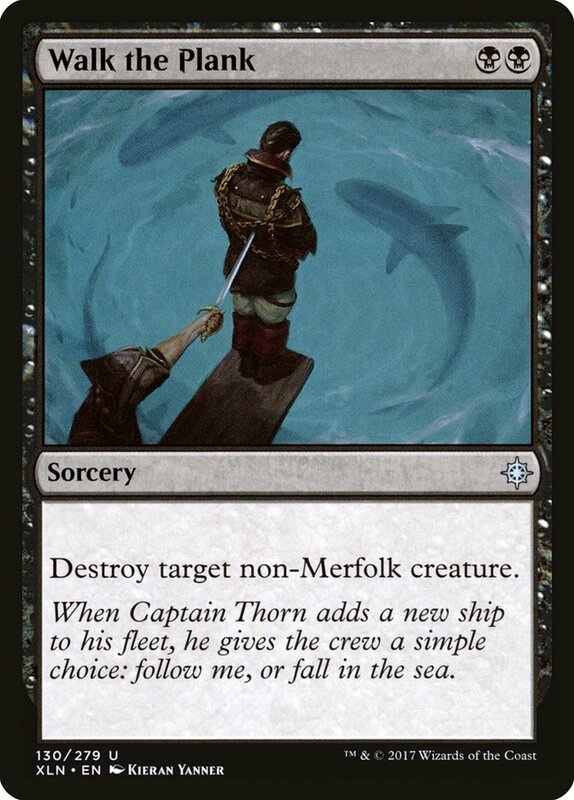 It would be fairly easy for a green deck to splash either black and/or white, but we need to know why we're splashing in the first place. White gives the deck some interesting creatures, but very few of them excite me. Shanna, Sissay's Legacy might get stronger as the rest of Guilds of Ravnica becomes available, but for now it seems like the token themes have come and gone. The same can be said for Emmara, Soul of the Accord. 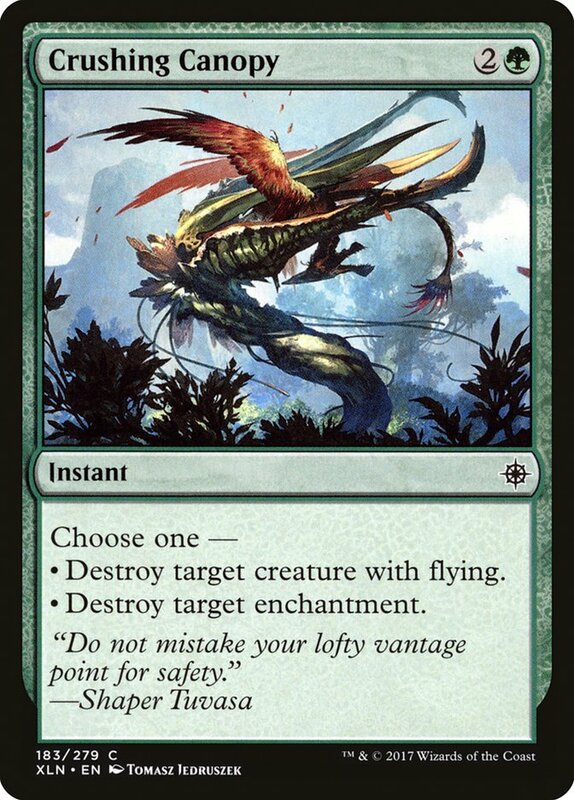 Shalai, Voice of Plenty could be a nice splash for the deck as it's a great way to use excessive mana which is always an issue for green decks. 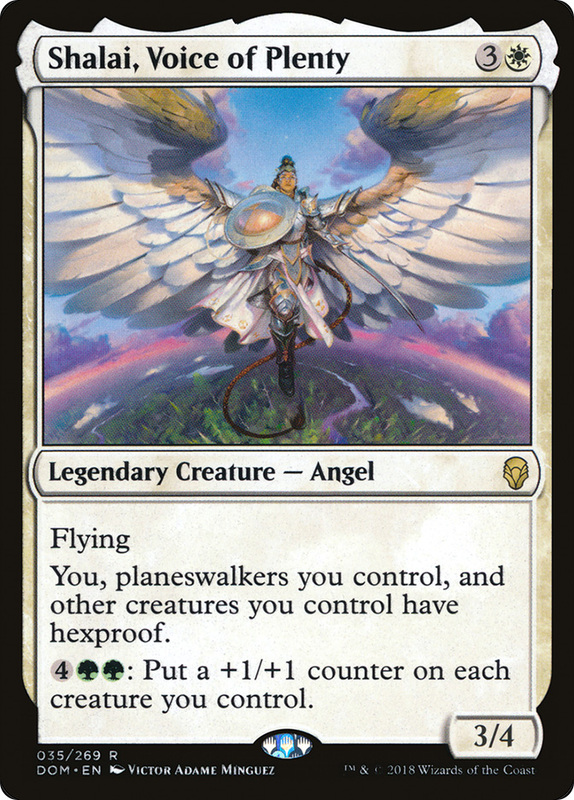 White also gives the hexproof theme a great payoff in the form of On Serra's Wings. 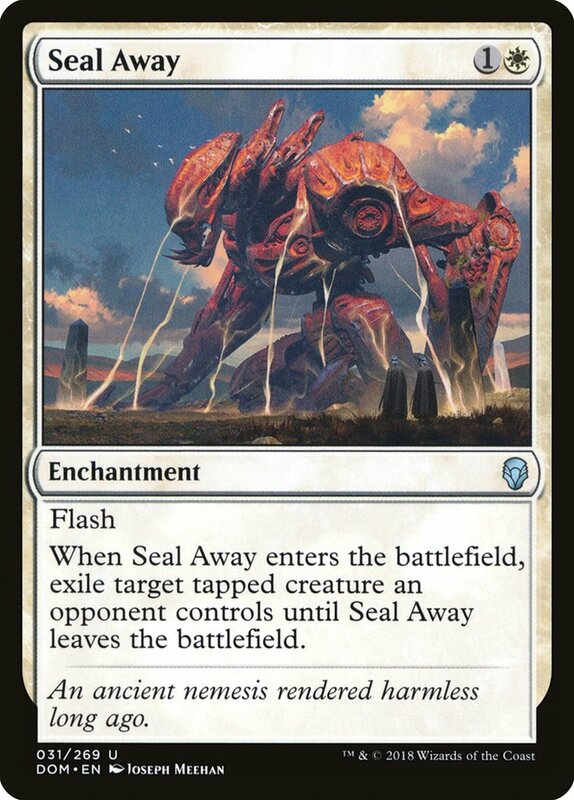 It wouldn't shock me one bit if this was a powerhouse in Standard moving forward. 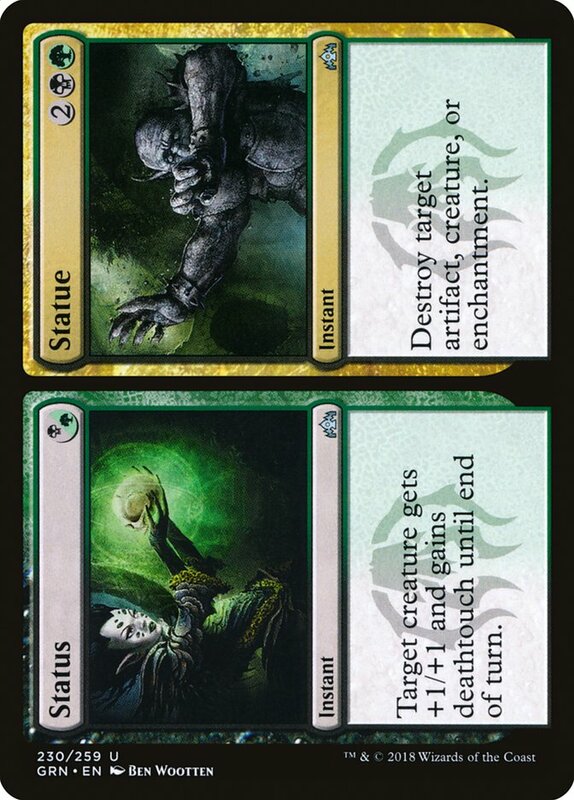 Black is the more common splash color for green as it gives the creature-based color removal, and card advantage. 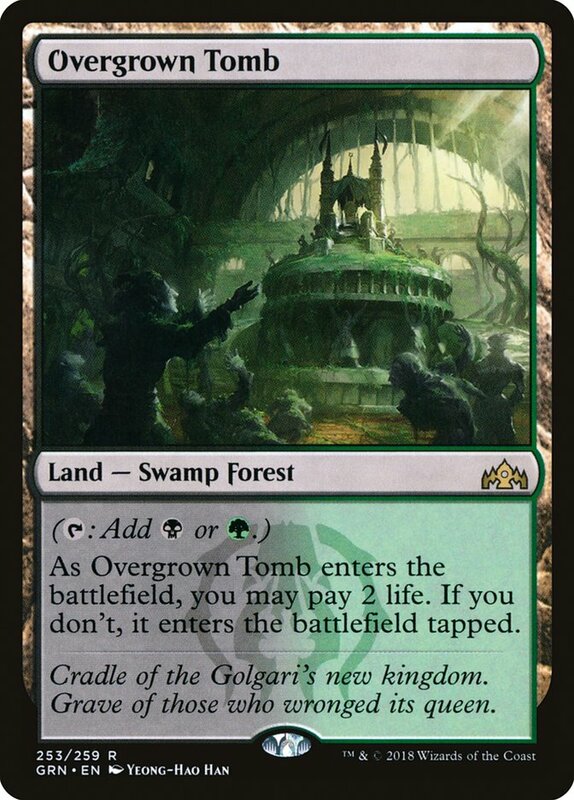 We've already discussed a lot of the removal black has access to, but one of the most powerful ones is Golgari-themed. Vraska, Relic Seeker has never really gotten a chance to shine in Standard as it never really matched up well against Hazoret the Fervent, Rekindling Phoenix, The Scarab God, or Torrential Gearhulk. Only one of those four still stand, meaning that the powerful Planeswalker might finally get a chance to do some heaving lifting in the format, especially now that Golgari is one of the five supported guilds. This color-combination really does have it all, plus should get more goodies to come. 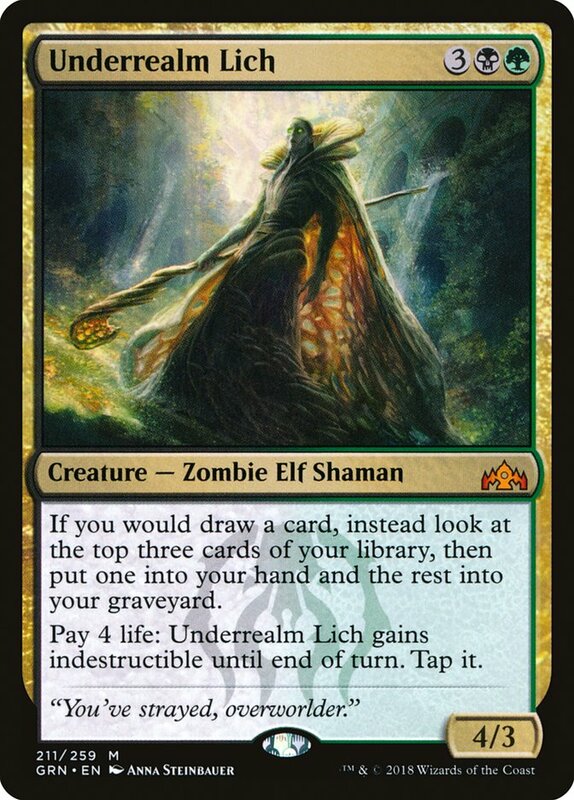 Already, we have an impressive threat in the form of Underrealm Lich. 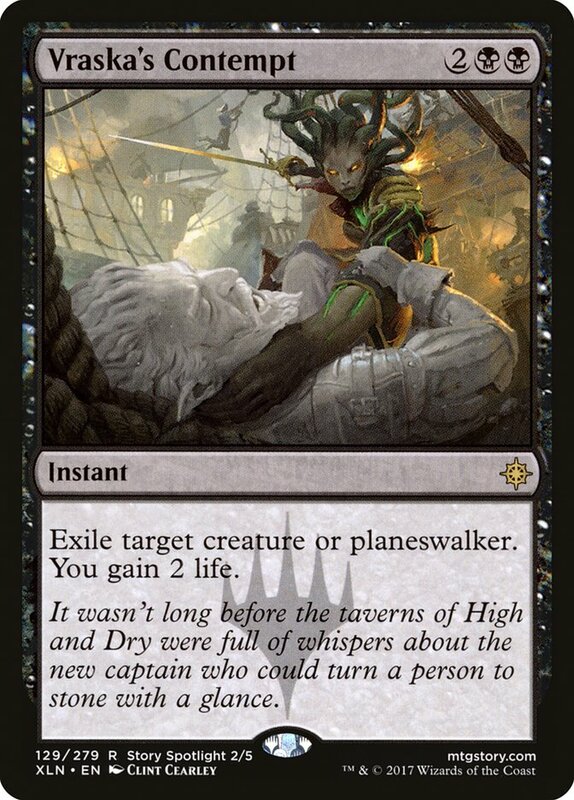 While relatively small in stature given the initial cost, the ability to live through combat and many forms of removal makes me believe this card will be worth the five-mana investment. It also has card sifting abilities that can help in the later turns of a game. 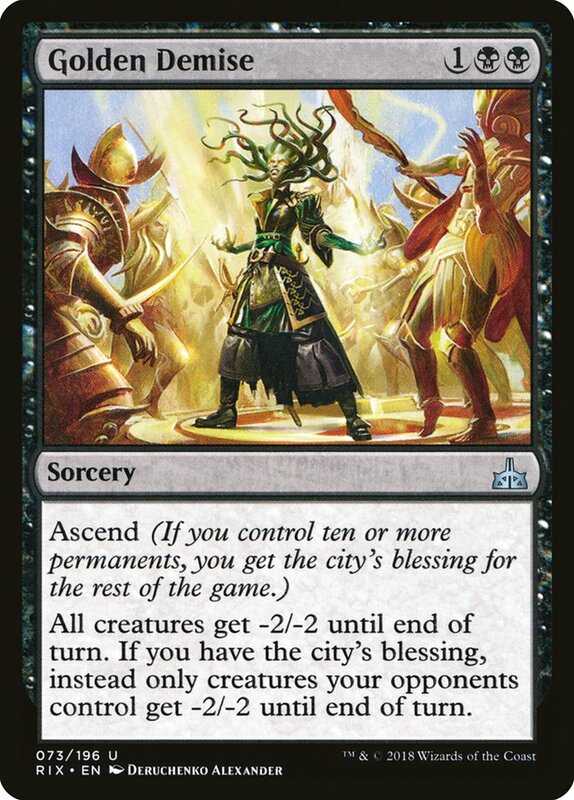 If Underrealm Lich is great, cards like Ixalan's Binding, Vraska's Contempt, and Conclave Tribunal will have to see play, but I'm pretty sure they all will anyway. Green decks did lose a handful of cards though which makes it difficult figuring out exactly what they will look like moving forward. Rhonas the Indomitable forced the deck to play cards that turned it on. Green decks were also forced to live in a format polarized by Goblin Chainwhirler and Teferi, Hero of Dominaria. That made the deck need to hit fast and hard. Even though it's still not proven yet, I'd imagine things will slow down a little, causing the format to become more midrange again. This might let cards like Merfolk Branchwalker, Jadelight Ranger, and Elvish Rejuvenator breathe a little. If this is the case, I'd imagine a Golgari deck in some configuration will be playable. Cards like Sylvan Caryatid, Putrefy, or Maelstrom Pulse that might get previewed would also make the cut. I'm still unsure as of right now if a deck like this could reliably support double black cards like Vraska's Contempt or Ravenous Chupacabra, but even the slightest of fixing would change my opinion. 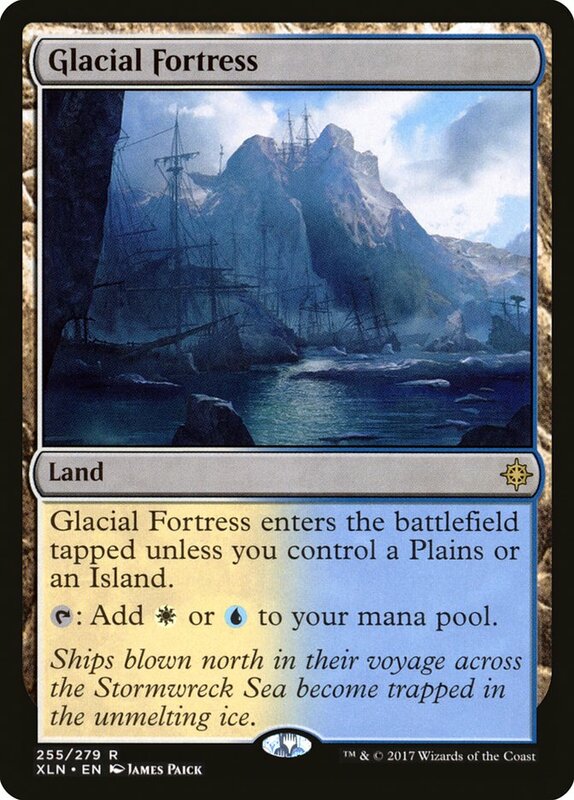 Who knows, even a reprinting of Farseek could allow this strategy to branch out for a third color. Golgari just has the tools to grind through any type for format thrown at it. White seems to be in the exact opposite position. There's so many powerful cards in the color, but figuring out what to do with them is challenging. In fact, it's always challenging with this color! Ajani, Adversary of Tyrants, Resplendent Angel, Lyra Dawnbringer, Radiant Destiny, Ixalan's Binding, Legion's Landing, Knight of Grace, History of Benalia, and Adanto Vanguard are all good cards, but they're not great. 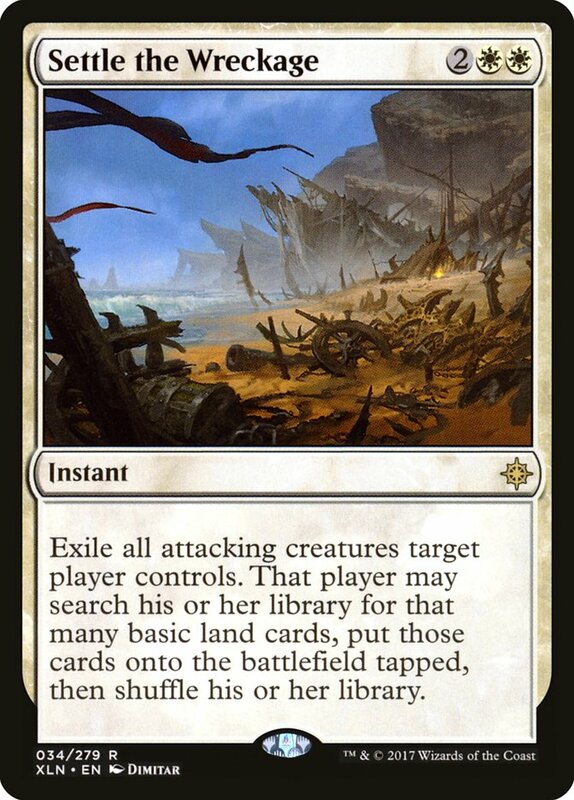 White just always seems to miss the mark when it comes to Standard. 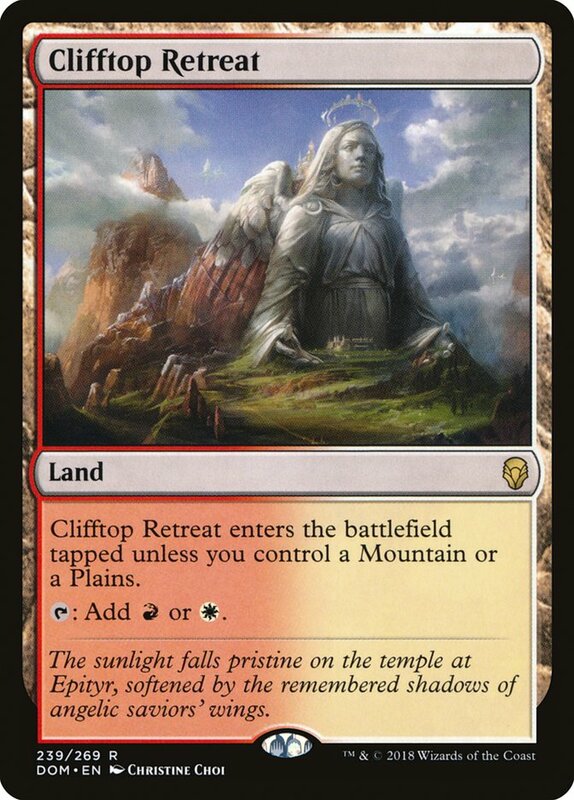 Usually the color needs something absurd like Gideon, Ally of Zendikar or Elspeth, Sun's Champion for the color to rally behind, but as of right now, that just doesn't exist. 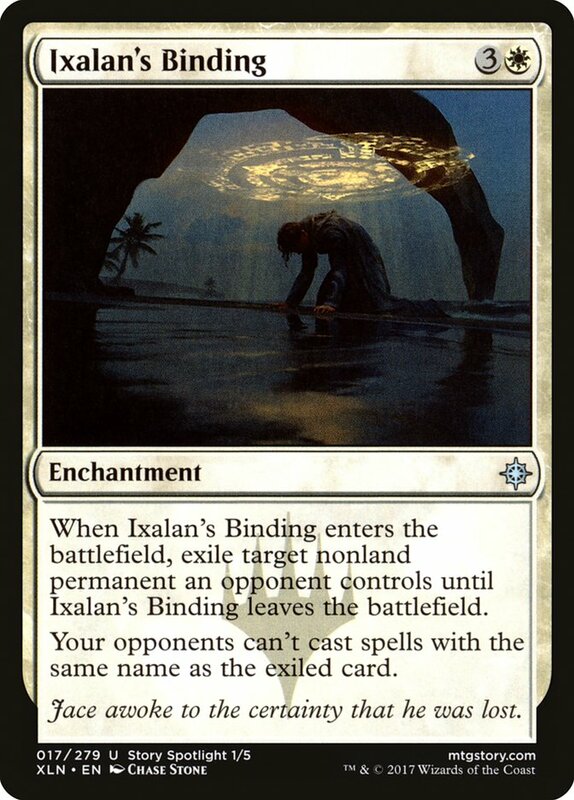 Without access to one of--if not the--most powerful card in Standard, white just always lacks the depth needed to play enough roles in Standard to be good enough. Often with white, you have to branch out to another color, but rarely does it mesh well with white unless the other color's cards are accentuating an amazing white card. 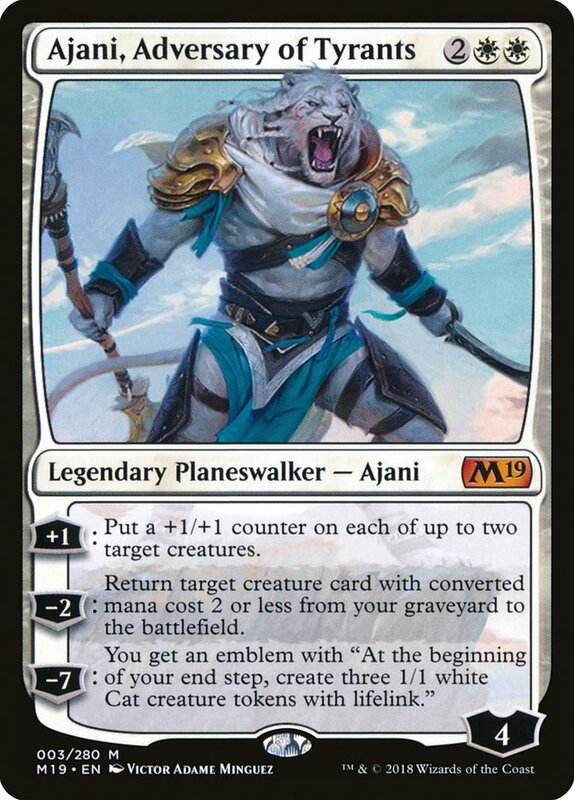 Ajani, Adversary of Tyrants could be that card, maybe, but right now the density of great creatures to recur is limited, especially when those creatures need to be powerful enough to protect the Planeswalker on turn 4. 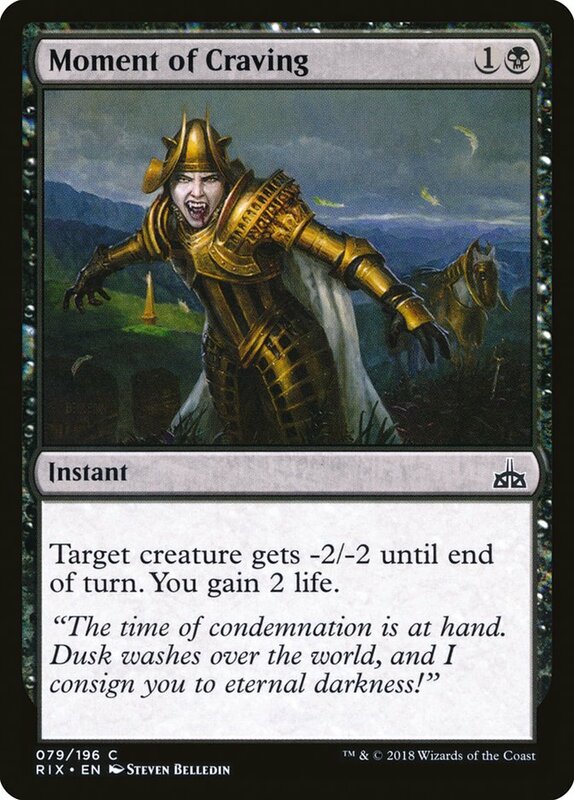 Black was a great color to pair with the knight theme created by History of Benalia, but the mana is just not going to cut it moving forward. Selesnya looks like it will be the best chance for white to shine, but we need more information. If Emmara, Soul of the Accord is the flagship card of the guild, then I have little faith in the color combination when based-white. 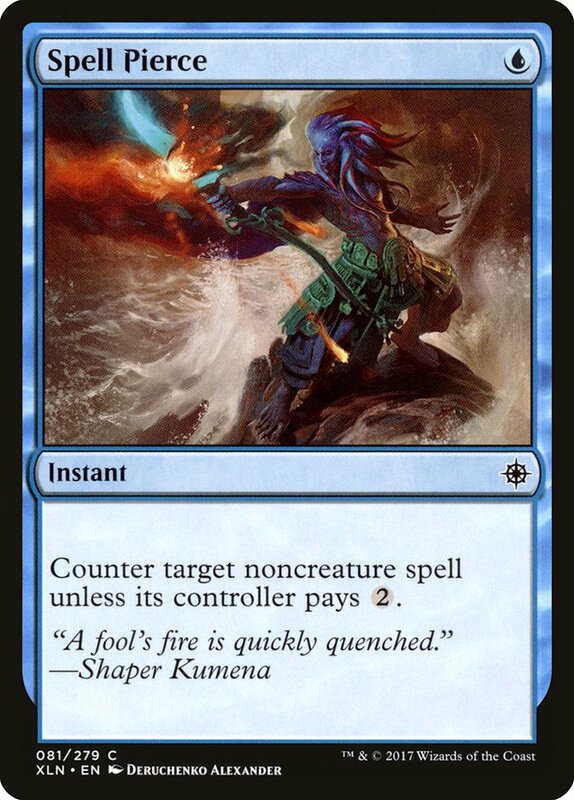 Izzet has always been a guild that struggles in Standard as it's often forced to be tempo-based, given its low impact creatures and removal. 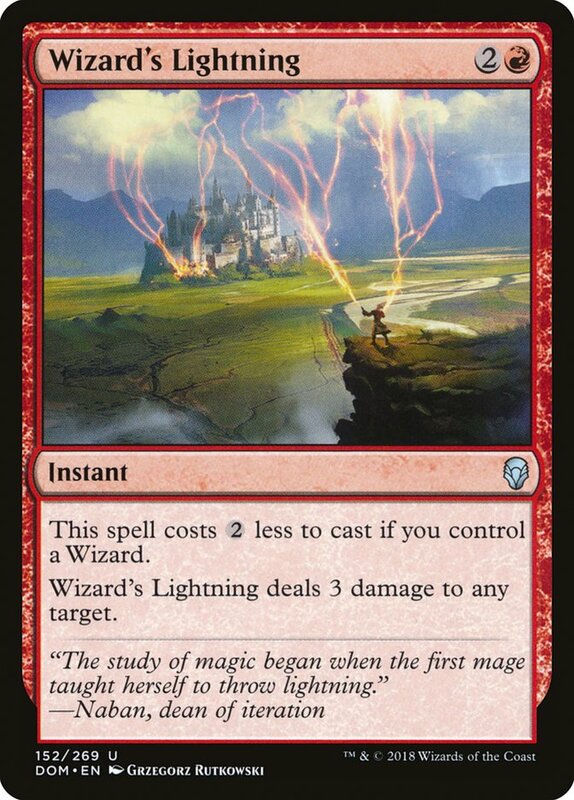 Wizard's Lightning, for example, is a very good spell in the early turns, but loses value as the game goes on. Other decks stabilize and then begin deploying more powerful cards, especially after sideboard. 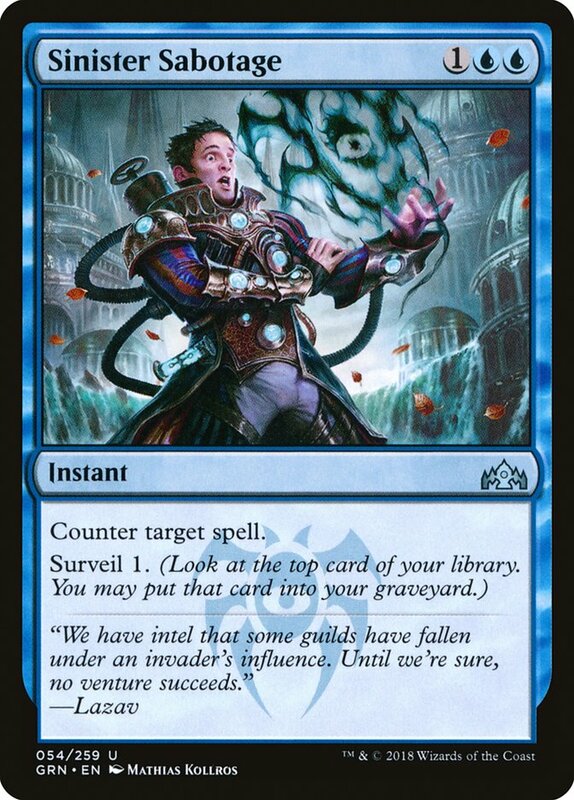 Izzet decks need a great curve and a high density of redundant effects to compete in Standard given how weak their cards generally are. I don't see this changing. 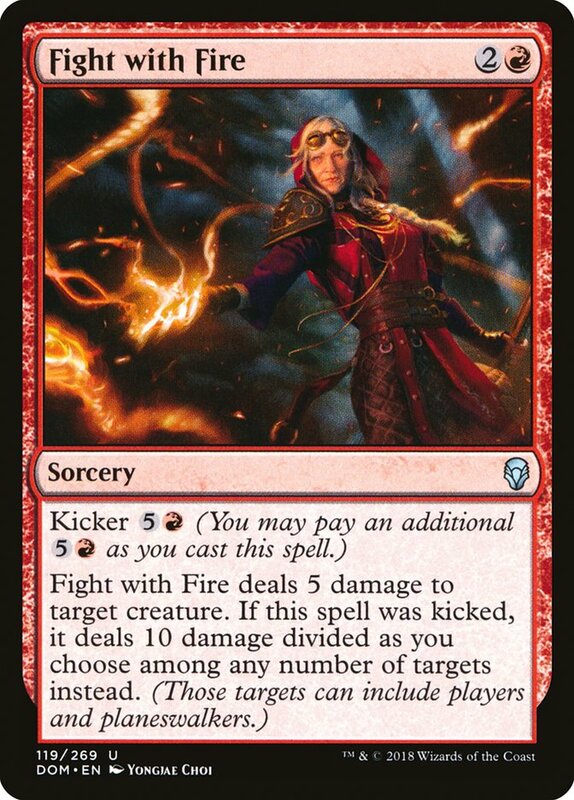 The best chance this color combination has is if there's enough cards to make Adeliz, the Cinder Wind playable. 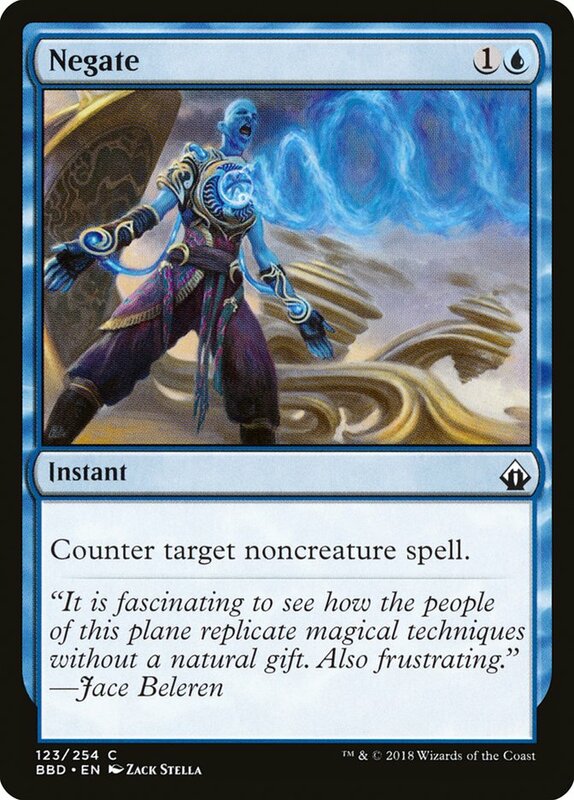 That's assuredly possible given how Izzet has always centered around Wizards and it wouldn't even take that many. Flying would be preferable though as the deck needs some evasion to get past all these green decks. After this initial once-through it feels like Standard will be very creature-heavy. Control decks don't seem to have adequate finishers to look like they have for the past couple years. Torrential Gearhulk really did do a number on the previous format, and now that it's gone, I just don't see how anything outside of dedicated creature control decks (like Jeskai) being able to compete. 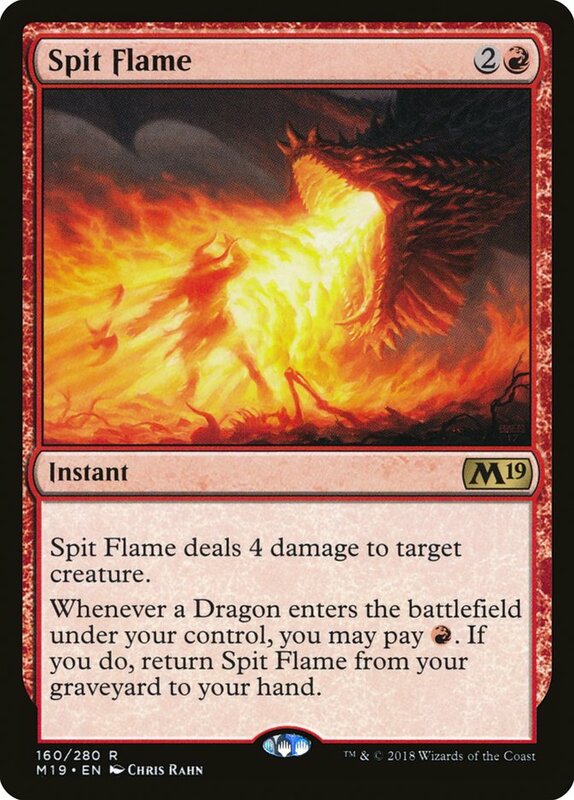 At least not right away when it appears that the creature-based strategies will be either go wide (Boros/Selesnya) or grindy midrange (Golgari). 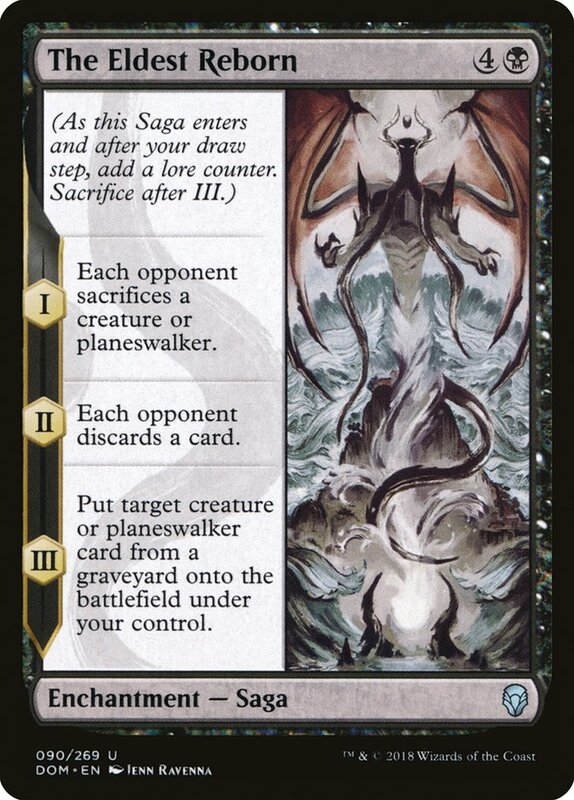 Dimir might be able to lean on Arguel's Blood Fast splashing for Nicol Bolas, the Ravager becoming more midrange like we've before, but without payoffs in the lategame, I don't even think that's possible. Can Boros be fast enough to compete with green decks? 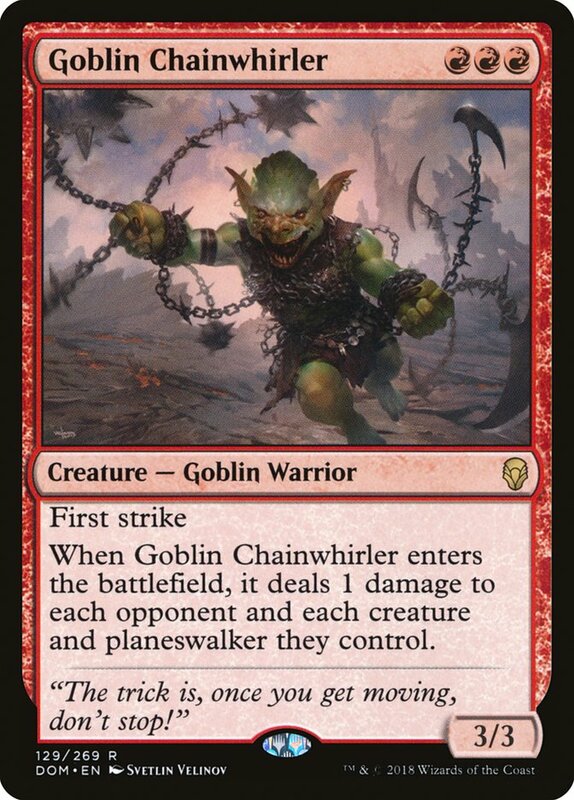 The best way for this to happen is revolving around Path of Mettle and Goblin Chainwhirler. 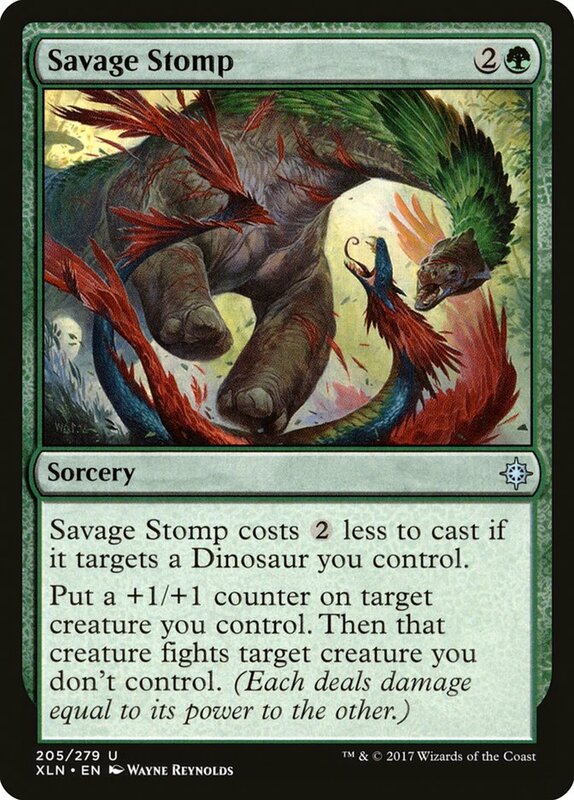 If enough haste, first strike, and menace creatures get previewed, I'd jump on the idea trying to perfect it for the first week of tournaments. Will Selesnya get enough power to overcome the color combination's lack of resiliency? Selesnya can be powerful if its cards are, but synergy just isn't enough to compete with targeted removal. 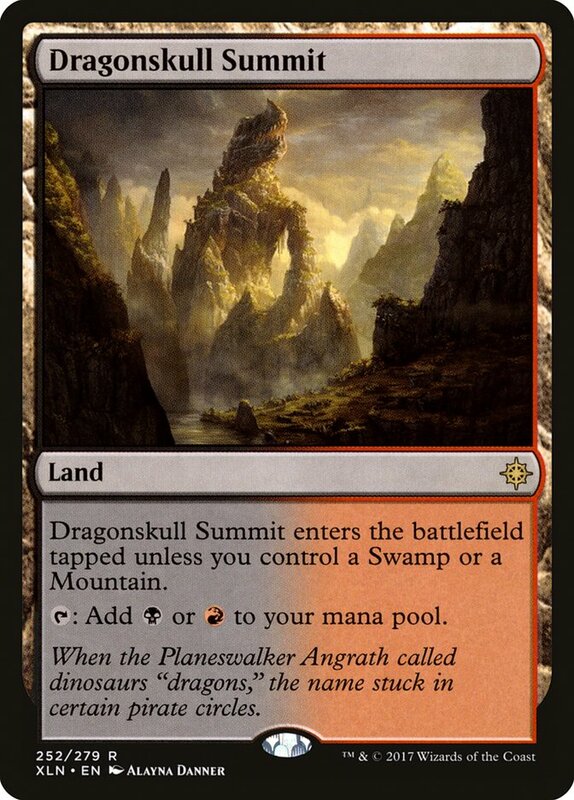 Will white get another great Planeswalker? The color is hyper-dependent on this making the value of every white card go up when they have one. Be sure to keep an eye out for one and speculate heavily on cards that would go well with it if it does happen to get printed. Will Non-Teferi control decks be possible? Good win conditions are pivotal for this to happen. They need to be able to compete against aggressive decks as well as grinding midrange strategies. 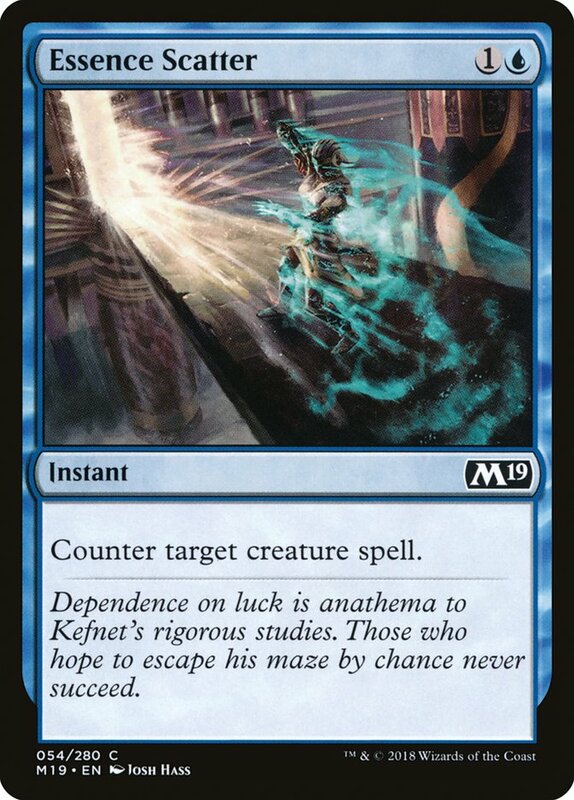 The better the card advantage, the less impact they need to have, but as of right now neither of these effects are at all great outside of Search for Azcanta and Teferi. Will Golgari become a powerhouse? 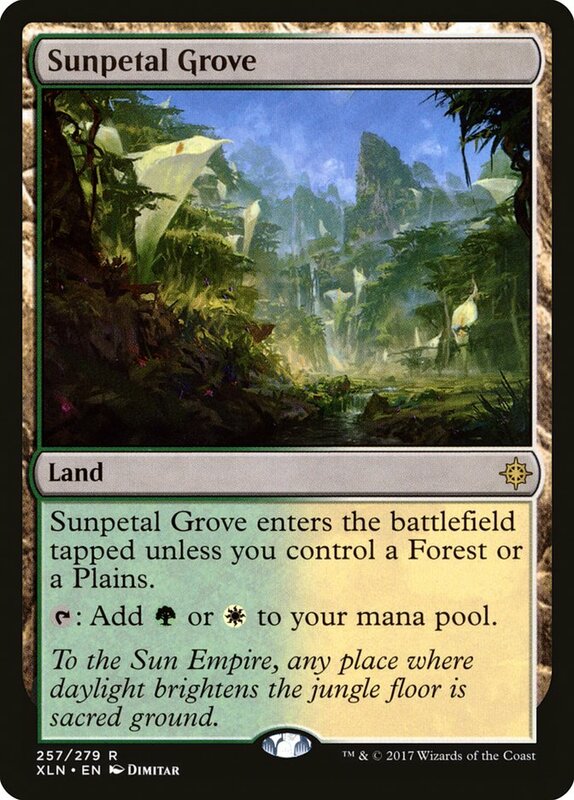 Will the mana allow the deck to branch out for a third color? Green and black have always paired well together, and there's no reason they won't yet again. That said, the deck gets stronger the better the mana gets. 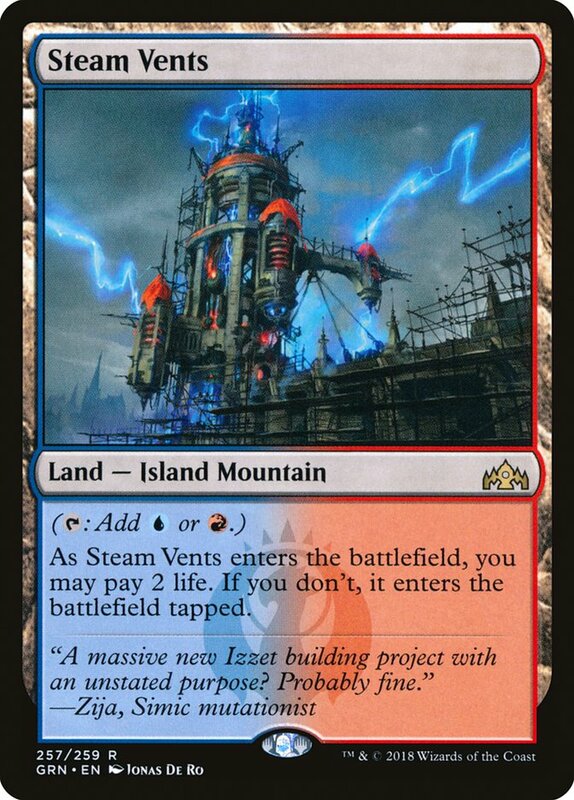 There's a great chance it will be playable, and an even greater chance it dominates the format given how many ways it can be built. 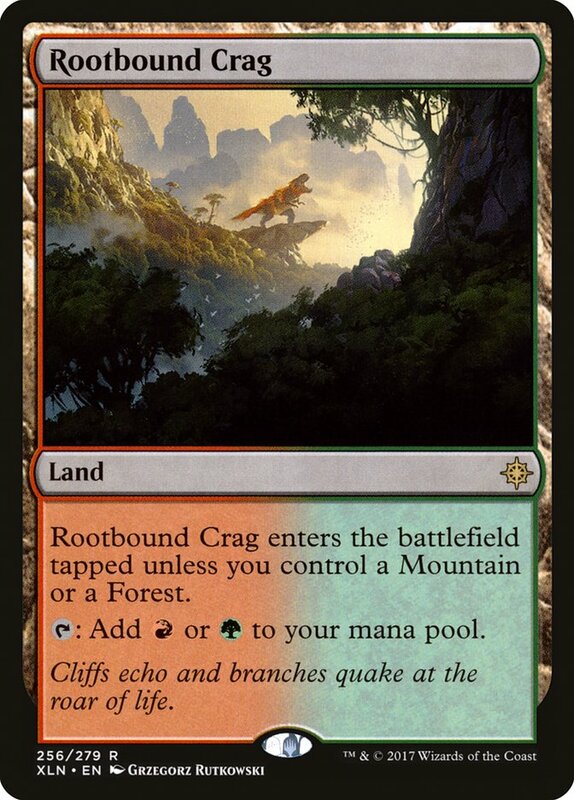 If a great card in this color combination gets previewed, there's a good chance it will see play. Get them early!